It's Wildlife Wednesday and time to share my wildlife sightings from the last month or so. 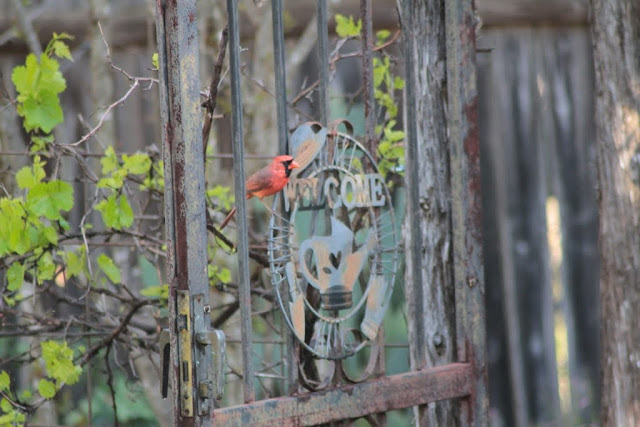 Wildlife Wednesday is hosted by Tina at "My gardener says...." as a meme to share wildlife sightings from the garden on the first Wednesday of each month. A bright red male Northern Cardinal is a welcome sight any time of year but spring is especially fun to see them. They are with us most of the year though they are brighter red in winter. Very affectionate birds, the male often feeds his mate and I enjoy their cheerful and varied mating songs. A female Black Swallowtail nectaring on Prairie Verbena. 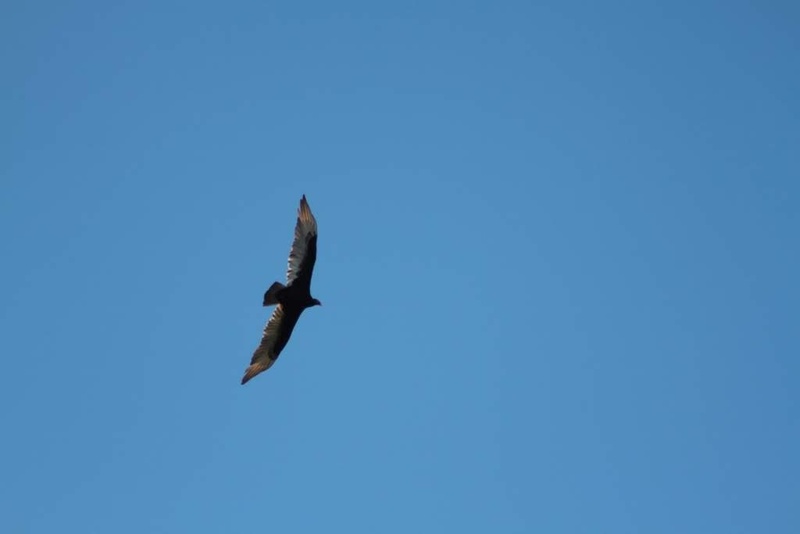 Female identified by the bright blue dots on her hind wings. 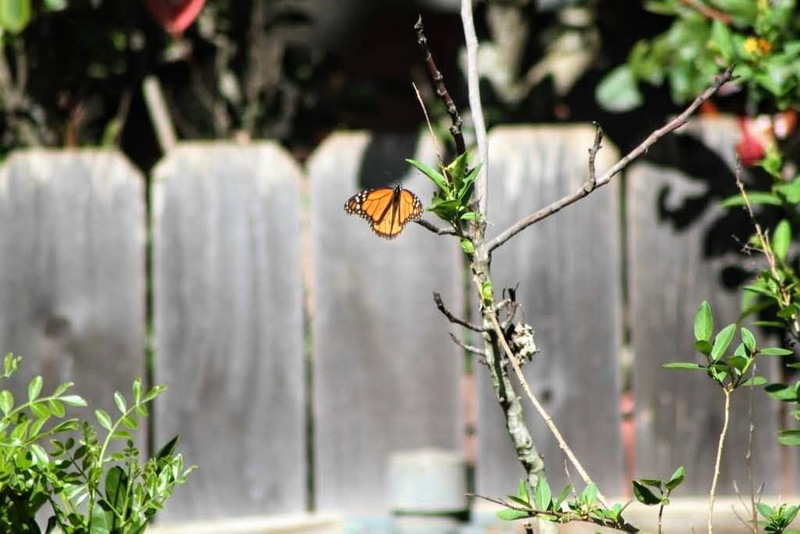 Monarchs stopped by on their way north. We haven't had much sun in March but they took full advantage of what little we had to offer. Resting on a Pomegranate branch. 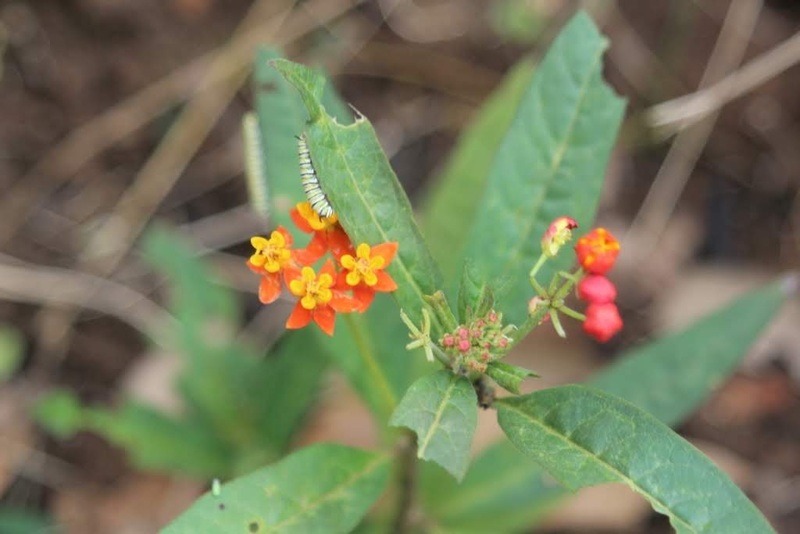 Several baby Monarch caterpillars munched on the Tropical Milkweed. Tropical Milkweed has been the subject of controversy but so far it's the most reliable host plant in my garden so I keep it going or add new ones each year. The caterpillars were quite tiny, not much bigger than the diameter of a phone charger cable. Their appetites were good though as they had already eaten quite a lot of the leaves. 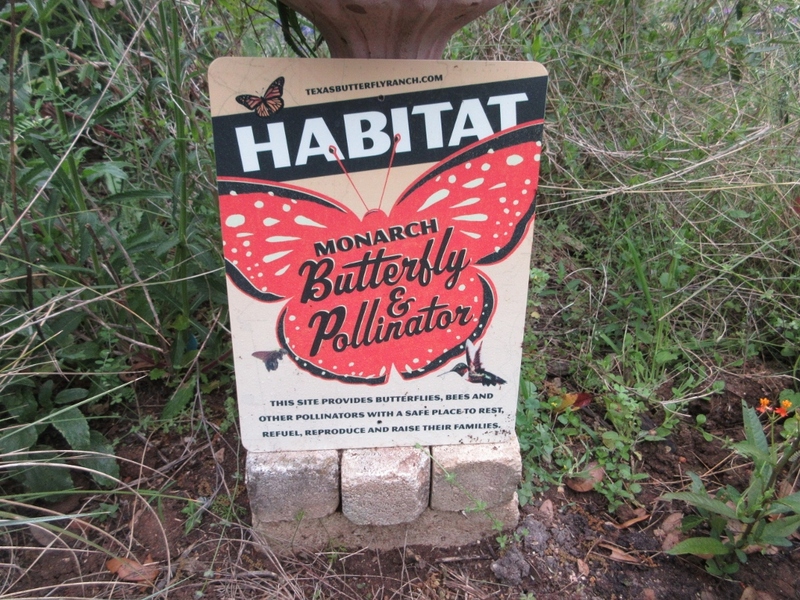 I purchased this pretty sign from Texas Butterfly Ranch after registering my garden in the 300for300 list of San Antonio Pollinator Habitats. 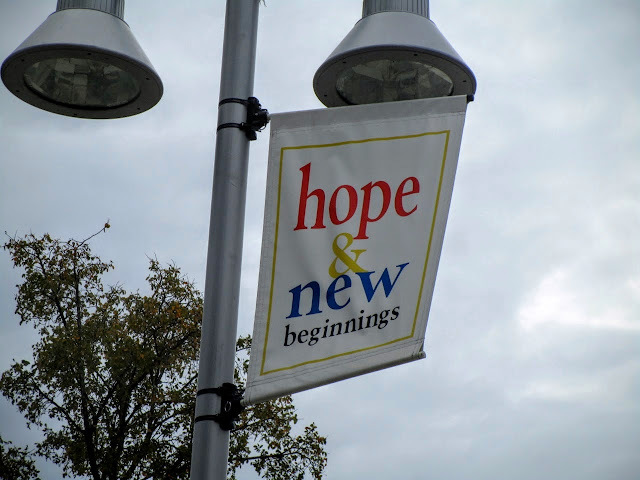 Monika Maeckle drew on her experience in public relations and marketing to design an attractive sign to let your neighbors know why your landscape looks a bit different than a typical lawn. That's not a problem in my neighborhood but I still enjoy displaying it in my circle garden. 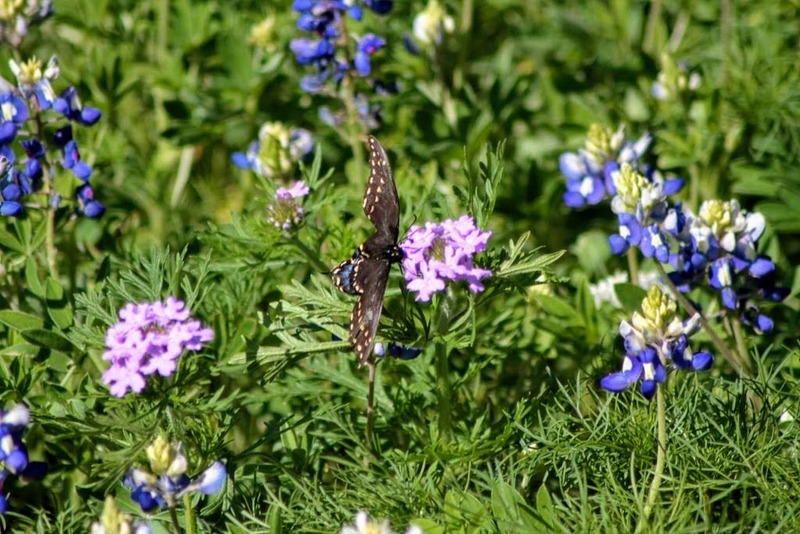 If you live in the San Antonio area consider including your butterfly garden on the list. Those are ants in the bottom right corner! A beautiful Crested Caracara doing a pretty good Hawk imitation. When it circled back around I saw the white markings on its head. 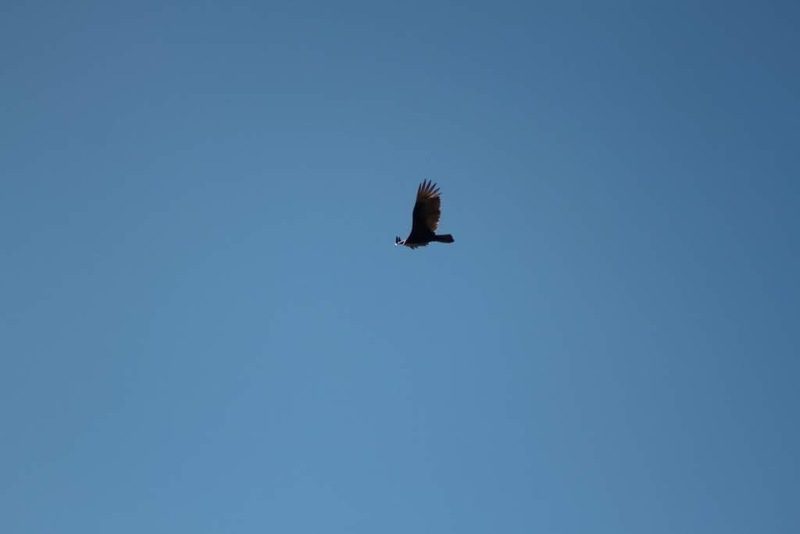 Caracara most often hunt by walking around or waiting on a branch so this was a treat to see it soaring high in the blue sky. Blue skies this time of year are nice, but now we need rain again. We are honored these magnificent birds also known as Mexican Eagles choose to spend time in our neighborhood each year. 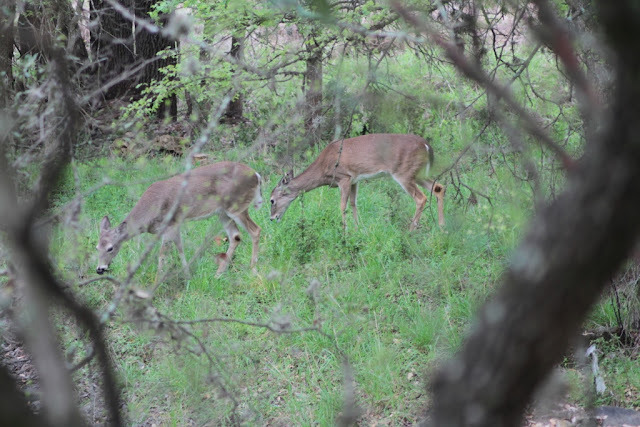 The Whitetail deer herd has plenty to eat outside the fence this year. We have started leaving fresh water out for the deer and other wildlife since there was no rain in March. New fawns will arrive soon and the herd will grow. 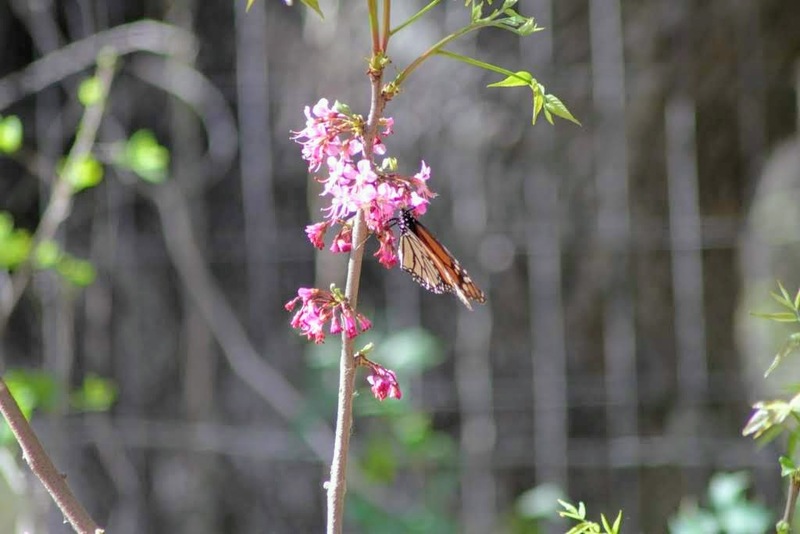 While they do have outlets to migrate and spread out quite a bit along a system of interconnected creeks and parks which run throughout much of north San Antonio there is still quite a bit of pressure on available plants in a neighborhood like ours. That's the round up of wildlife from my garden over the last month or so. To share wildlife from your garden or see what other bloggers have shared be sure to check out the comments section in Tina's blog. Beautiful images! How awesome to have so many butterfly visitors. :) Our butterfly season is just getting going. I've only seen one so far--a mourning cloak--but others have reported seeing Eastern commas and Compton tortoiseshells, as well. Your garden supports a wide range of wildlife. It's good to see that you're getting both butterflies and caterpillars. I was excited to see painted ladies (Vanessa cardui) and hummingbird moths earlier in March but both appear to have moved onward. I saw what I think was an owl last night but of course he flew off as soon as I opened the back door. Nice array of critters in your garden. I had a few monarchs, but as far as I can tell, no eggs. I assume that first (or last!) generation has laid their eggs and the next will be moving on soon. Like you, I love to watch the cardenals: beautiful, charming birds! Hiking this week I discovered we have something called an autumn butterfly. Butterfly ID is a long journey ahead of me.